State Dept. 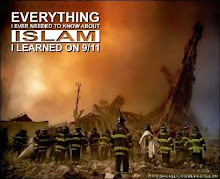 Invites Islamic Displacement of American Values: "Being Muslim in America"
Under the administration of the crypto-Moslem president, the U.S. State Department continues incorporating Islam's vile organizations into the American Mainstream. With the United States battling Islamist extremists, making America's case to Muslims around the world has never been more of a priority for policymakers. Unfortunately, the State Department continues to take a counterproductive approach: serving as a veritable infomerclal promoting Islamist organizations like the Council on American-Islamic Relations (CAIR), the Muslim Public Affairs Council (MPAC) and the Islamic Society of North America (ISNA) while giving the back of the hand to the very anti-jihadist Muslims that Washington should be cultivating. The latest example is a State Department booklet issued in March titled "Being Muslim in America." 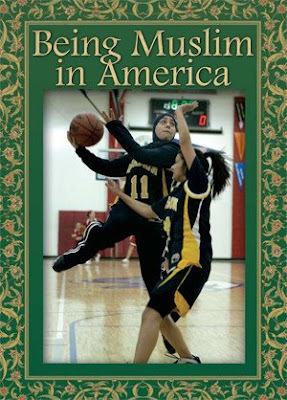 And as we'll show in more detail below, many slanders against the United States come from the same groups that are portrayed favorably in the State Department booklet.The front cover has a picture of two Muslim girls playing basketball at a school near Detroit: One is wearing traditional dress, the other more modern dress. It's no ordinary basketball game, because there's a deeper sociopolitical message that Foggy Bottom wants to send to the world: The girls "compete fiercely on the basketball court in a sport that blends individual skills and team effort. They -- along with the other men, women and children in the publication -- demonstrate every day what it is like to be Muslim in America." The booklet is replete with dozens of pictures of Muslims playing basketball, praying; talking about "diversity" at a mosque; attending interfaith gatherings "to celebrate diversity and tolerance," and "brainstorm[ing] ways to solve problems in their community." There is even a color-coded state-by-state map showing "Mosque Distribution in the United States." 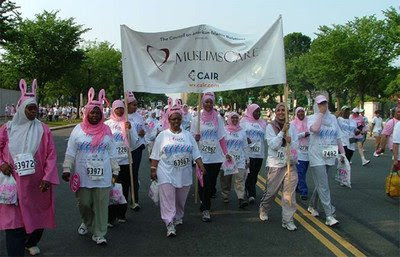 The purpose of publishing "Being Muslim in America" is "to disabuse people of wildly false myths of the United States -- that 'Muslims are repressed, marginalized, fill in the blanks,' " according to Michael Friedman, division chief of print publications with the State Department's Bureau of International Information Programs, which is overseeing distribution of the publication. Although State doesn't have a specific target number of copies that it is looking to sell or give away, Friedman said a similar 2002 State Department report titled "Muslim Life in America" had 400,000 print copies distributed worldwide and was translated into 28 languages. "It is conceivable that this one could reach that level," he told IPT News. And "Being Muslim in America" is not the only example of the messages of weakness that the State Department sends to the Muslim world. Elsewhere at http://www.america.gov/, the State Department's Middle East & North Africa section of the site is replete with items like the transcript of a press conference in which Obama and Jordanian King Abdullah suggest that Israel and the Palestinians are equally responsible for the failure to achieve peace; a speech in which Vice President Biden urges Israel to end settlements and back a "two-state solution;" and a January 9, 2009 statement warning Israel of the consequences of misusing U.S- supplied weapons. Rather than telling the truth about the central role of Islamist radicalism in sabotaging peace, the State Department seems to waiver between moral equivalence and blaming Israel. Some commentators have said that America, the land of free and the home of the brave, died when Barack Hussein Obama was elected President of the United States. Even these commentators were shocked when President Obama bowed deeply to Saudi King Abdullah. I wonder how many Americans connected that ignominious incident with the fact that 15 of the 19 suicide bombers that destroyed the World Trade Center on 9/11 and murdered almost 3,000 human beings on that horrific day were Saudis!!! Was President Obama oblivious of this fact? But surely he knows that Saudi Arabia is an epicenter of international terrorism. Surely he knows that the Saudis have built countless mosques in the United States, where imams preach hatred of America. Yet he bows to King Abdullah—signifying that he, the President of the United States, is an empty-headed [man?] a man without a chest. Not only does he have the audacity to call Americans arrogant, but such is his depravity or decadency that he apologizes to the primitive and despotic world of Islam, whose deranged and demonic adherents have slaughtered some 270 million human beings since the time of Muhammad! So what are we to say of this media-created president of the people who still support him? What are we to say of the Democratic Party, whose elites, like Obama, are most accurately described as anti-patriotic internationalists? And what are we to say of the Republican Party? 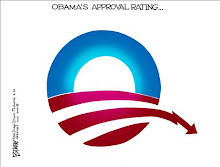 Did it vigorously denounce Obama for bowing to King Abdullah? Did it propose—never mind the futility—a Resolution in both Houses of Congress censuring Obama for dishonoring the Office of the President of the United States, for dishonoring, too, the Nation that has repeatedly saved mankind from barbarism, and for dishonoring the victims of 9/11 and their families? What is left of my once beloved America, land of the free and home of the brave? Sultan Knish in his "Winning the War on Terror"
TO FIGHT OR NOT TO FIGHT . . .
. . . . that is the question. And by opposing end them . . . Here is an enlightening exchange from a recent Jihad Watch post, revealing thoughts and sentiments of several people. This is not a scientific survey, but it brings up points for us to ponder. Maybe one day soon the US soldier will not be so kind and stop handing out candy to kids and building roads. US soldiers need to start destroying and killing on an industrial scale with no mercy. Islam is a paper tiger. Kill a few million in a few days and watch the whole thing collapse into a pit of self pity begging for help. It's easy to take the wind out of their sails. They are not the Germans. They are not even the French. They are muslim arabs. Stop apologizing to them, stop buying their oil, stop educating them and start killing them. That is what soldiers do. They kill. They don't hand out candy. I have to register a protest at August22's words. No! Murder is not what soldiers are about! Not American soldiers and Marines. You have the USA confused with some other country, nazi Germany perhaps. We will not sully ourselves with the murder of "millions" as you put it. These ugly, racist, and fascistic remarks do "the cause" no service. Such posts should be removed from this blog. I can appreciate your shock at August22's statements. I first encountered him when I was new to these pages and I found that he comes across at times as a one-trick pony and a stubborn little pit-bull puppy that just can't let go of a thing once he's taken hold of it. At times he seems to be of that type that is virtually indestructible, but at other times seems willing to engage in reasonable discussion. I'm hopeful that he's just engaging in a habit of hyperbole in his comments above. If we read his statements this way, he does make a good point. "US soldiers need to start destroying and killing on an industrial scale with no mercy. 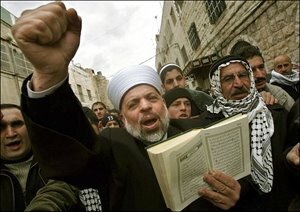 Islam is a paper tiger"
Sounds horrible I know but it is true that a general war against the Islamic world, if it does come some day, as I think it likely will, will have to be fought with a great deal more rigour, determination, and sheer savagery, than the wars in Iraq and Afghanistan. As I've said above, I do not shrink from the thought that, should it come to this, we must inflict on the Islamic world, or at least the core Islamist nations such as Saudi Arabia and Pakistan, at least as much damage and destruction as what the Allies did against Nazi Germany and Imperial Japan. This, to my knowledge, has not happened in Iraq and Afghanistan, where militaries are just as concerned about public relations as they are about gaining clear victory. There are two primary qualifications I would make to August22, while agreeing with what I think is his main point, even if he makes it badly. Please, no nukes! Most of the region is not only presently habitable but has been the homeland of great civilizations in the past. Any significant use of nuclear weapons will not only render it uninhabitable at all in the future, a dreadful tragedy in itself, but will probably affect the rest of the world scarecely less (including us). Surely we want the region to be available for repopulation by the region's non-Muslims and even by those who might choose to follow whatever might be born from the remains of what used to be Islam. Besides this, the region has its place in the global ecosystem that will be terribly disrupted if it is simply destroyed. It should not be done the way that August22 would seem to suggest if we take his words at face value, but there is no doubt that Islam is such an intractable and unreasoning enemy that it does have to be defeated brutally, such that it can never rise again, before any healing and rebuilding of human societies in the areas historically effected by Islam can succeed. Sorry dessertdawg for offending your sensibilities. Soldiers exist to kill. We need to use them for that purpose. This war will not be won with hearts and minds. It can only be won through death and destruction inflicted on the muslim world on a massive scale similiar to that of Nazi Europe. There is no difference. We have to remove the psychological impediment to killing on that scale if we are ever to make a lasting impression on the islamic world that will be to our benefit. So far, the impression we have given them is one of a paper tiger, ourselves. They latch onto that and exploit it. We see the result. In islam, there is a saying that there are no civilians. That is islamic doctrine. They apply that doctrine to us and to themselves. They consider all muslims to be part of a war effort to destroy the non-islamic world. And for the most part, the islamic population agrees with that. So, like the German population, they must be targeted for destruction. Fighting islam is not about using the police to foil terrorist attacks. That approach will never end this war, except by its own failure. Fighting islam is about inflicting on the islamic world such a wound that it will force a reformation from within. If that is not forthcoming, the final measure is to de-program the culture manually through occupation like we did with the Axis powers. Outlaw islam, and introduce Christianity as the official religion. But the first measure is one of punitive destruction. Inflicting death does not make a nation corrupt. It is the reason for which one kills, and not the scale, that determines that. Our reasons are defensive and rooted in in the need to protect freedom and progressive human decency and civilization. For that cause, there is no price too high for them to pay. What if the jihadi maggots get the nukes first? Once you decide for aggression, then all is fair in love and war. These brain dead suicide bombers have been trained to lock out their fear of death and any compassion for their victims. These diseased viruses are not deterred by seeing their wives and children being blown to bits by bombs. If we want to fight them we have to prepared to accept the consequences. Are we prepared to accept the possibility that our families might be bombed/nuked? Are we ready to pay that price? Are we convinced that whatever might be the end, the disease must die. Let the whole world be blown to bits fifty times over, but the disease must die. Unless there is an inherent overwhelming hatred for the disease from the core of the heart, all this talk about containing this menace is just lipservice parrottalk. "What if the jihadi maggots get the nukes first? Once you decide for aggression, then all is fair in love and war"
a). any preemptive nuclear attack on Islamic targets would likely provoke a nuclear terrorist attack against Western targets - the very thing we are all trying to avoid. b). any significant, large scale use of these weapons is HIGHLY likely to not only kill the enemy but, because of the spread of nuclear fallout all over the planet, will likely - slowly and painfully - do the same to us as well, and may damage the whole planet permanently and severely enough to make it inhospitable to all life! If any such weapons are ever used - and GOD FORBID (!) 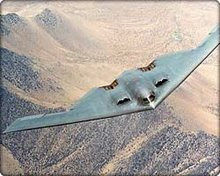 that they ever need to be - let it be only against a very narrow range of very carefully selected targets, carefully calculated to destroy the Umma's morale, its military assets or its industrial infrastructure for military production, and with very careful prior consideration to its environmental effects. It comes down to this and THIS IS CRITICAL TO THE SURVIVAL OF ALL OF US - THE ENTIRE WORLD, I SAY INSISTENTLY! 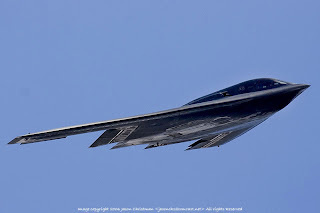 : Try everything short of the nuclear option - even if western targets are hit first - limiting the nuclear response severely (to zero if possible), and use methods such as the carpet bombing with conventional explosives instead, like the waves of bombing over Europe in World War II, before even contemplating it. I appreciate your contribution to the discussion in this forum, but I would strongly urge you to use more nuanced rhetoric than you have in this thread. Your second message is a great improvement over the first, by the way, but I have to note that call for the death of "a few million in a few days" quite frankly shocked me as well and made me think twice about whether I should come to your defence. I agree with you that the West needs to harden its resolve in many ways, but please consider that the moral constraints that people in Western society are struggling with right now have been a critical part of what makes us a civilized people and elevates us over the crude, feral ethos of the Umma. People will come around much better to where they need to be if we use rational argument rather than shock treatment to persuade them why some of that constraint, regrettably, has to be set aside in the present conflict. It is important not to utterly abandon our higher ideals in the process of waging this war, as some of your more abrasive statements seem to do at times. You and I are in agreement on the justifiable recourse to the total destruction of the Umma in the prosecution of the approaching war if it does come, but please remember that even in World War II, our soldiers tried, as much as possible, to show mercy to the enemy when it was appropriate to do so. We must be prepared to do the same in the present age, with appropriate precautions, of course, against deceptive Muslim tactics and realities such as their reliance on principles such as "taqiyya" and "kitman". Please consider your words carefully. ok, we do not want our military to take it upon themselves--individuals or groups-to start killing everything that squeals inshallah! indiscriminately. Wars are not won with candy. We are at war. What happened to:" once you got them by the balls, their hearts and minds will follow?" Too rough for us nice, fair, morally superior Americans? Then we will be eating Islamic feces. Nice American soldiers, marines and sailors don't kill? They sure as shootin' did in World War II. The constant bombing of the German homeland, the firestorm in Dresden, the vaporization of two Japanese cities. This wasn't being nice and friendly, The candy was handed out to the vanquished BUT . . . I don't believe that the Russians gave out much candy when they went into Berlin though. They remembered Stalingrad etc. If we dilly-dally with the Taliban in Afghani-Waziri-stan, we will lose. If we go to war half-assedly as we did in Korea, Vietnam, and yes--after a brilliant military campaign--in Iraq, we we have lost. What we (our "leaders") naively thought would be a "democracy"--like "ours"--because the purple-fingered populace voted--and would be our "ally" in the Middle East, is a close ally of our nemesis Iran. If we are not willing to kill--millions--to keep our country--not an Islamic Republic of America, I mean--then we will lose. Our overlords will be the Arabs and arabized Moslems that will rule us with their laws. If you want candy-toting soldiers to defend you, then I hope that you are in the minority. If there is a majority of Americans with your sentiment, then we are doomed to bow towards Mecca or die by the millions. Do we die by the millions, or do they? That is the choice we will be facing.
" . . . even in World War II, our soldiers tried, as much as possible, to show mercy to the enemy when it was appropriate to do so." The Germans were not ALL convinced of their superiority--not late in the War. The point is that not all German soldiers were Nazis (all SS were). All jihadis are Muslim, ergo they are, as was the SS, brainwashed. The Japanese were not treated as mercifully during WWII [not that they weren't getting back what they had been dishing out--which is not the way we want to do things, I agree]. I recall "Life" magazine photos of strung-up ears, trophy skulls, and other grisly souvenirs. Then there were the atomic bombs. No mercy shown there. I have reservations about being TOO merciful to the jihadis. The Japanese became civilized again, after their foray into Asia was stopped. Recent reports indicating al-Qaeda's preparations for a nuclear attack in the United States by al-Qaeda's alleged nuclear expert, Adnan El-Shukrijumah, has prompted conflicting reactions among Islamists in the jihadi forums (Terrorism Focus, September 12; al-Arabiya, September 11). The jihadi forums described the possible nuclear attack, and they also discussed a separate plan by al-Qaeda to attack coalition forces in Afghanistan with 300 suicide bombers. This latter plan was labeled The Ramadan Invasion, a reference to Prophet Muhammad's first war with infidels that was called the Badr invasion that took place in the month of Ramadan. With regard to the nuclear plot, the debate revolved around whether Islam justifies killing innocent people with weapons of mass destruction. 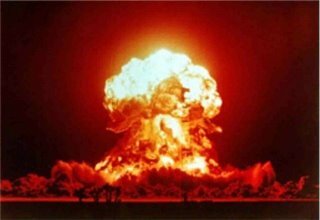 Other forums hailed the news of the possible nuclear attack by saying that "this is a good omen for all lovers of jihad" . Proponents of a nuclear attack on the United States reason that American civilians are not innocent bystanders. According to this view, American citizens are as guilty as the political and military leaders they freely elected who make the decisions to kill Muslims. The citizens are taxpayers, and the leaders use their tax money to implement anti-Muslim policies. They further justify mass killings by saying that "even though [American civilians] are not armed militants, they fund the militants and corroborate government actions." Another forum participant, nicknamed Mohannad Net, says that "we are longing for such an attack to break the back of the American camel...I pray to God that this plan does exist and will be implemented" . The strongest argument comes from a participant with the nickname Sendbad Elmassery who refutes the notion that nuclear weapons are banned, quoting a verse from the Holy Quran that reads, "If ye punish, then punish with the like of that wherewith ye were afflicted" . The proponents who reason against a nuclear attack on the United States argue that Islam and the Prophet Muhammad forbade the killing of unarmed civilians, the elderly, women and children. They reiterate that the killing of innocent Muslims by the United States does not justify killing their civilians even if they are infidels, Jews or Christians. They add, "our religion calls for forgiveness and mercy, not random killing. Therefore, such an operation will distort Islam and true Jihad. We must not burden Islam with the guilt of using nuclear weapons. It is better to be martyrs than mass butchers" . A participant, nicknamed Abdullah 28, refutes Sendbad Elmassery's Quranic justification of a nuclear attack by posting the full verse that reads, "If ye punish, then punish with the like of that wherewith ye were afflicted. But if ye endure patiently, verily it is better for the patient" . In between these two perspectives, there is a third party that believes that the nuclear attack is a conspiracy organized by Israel and directed by the United States . They argue that the September 11 attacks were carried out without anyone uncovering the plot prior to perpetration. In this case, however, the nuclear plot has already been revealed, which would not have happened if it were a true plot organized by al-Qaeda. 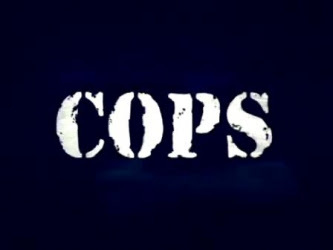 What'ya gonna do when the Cops no longer can protect you? 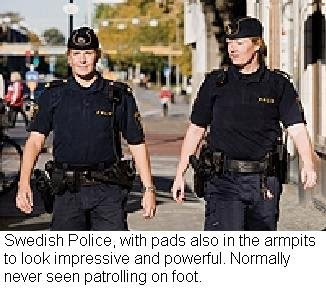 FROM Gates of Vienna: "OUT OF THEIR DEPTH"
[In the] southern Swedish city of Malmö . . .nightly riots, arson, and general lawlessness have become the norm in immigrant sections of the city.. . . the Malmö police are unable to manage the situation, and are admitting it: they simply don’t know what to do. The light of Multiculturalism has failed, and they have nothing to fall back on. "Dutch Girls Stoned by Muslim Gang in The Netherlands"
. . . two girls riding on their bicycles were first verbally attacked and called "cancer-ho" and other insulting illnesses by islamic youth [who] started throwing stoned at them, hitting the heads of the girls. They also took the bicycles from the girls and threw these on the girls. Comment: After the already going on violence of Muslims in The Netherlands, by assaulting ambulance workers and fire workers, putting cars on fire, is it now going to be a common "ritual" in the Dutch streets that Dutch girls are going to be publicly stoned? When the police can no longer protect the citizenry, it will have to protect itself. In Europe this is not understood or considered to be improper. In the U.S., were this to become the case, there are segments of the society that will not endure attacks by alien "youths" without responding. This is not speculation, but based on what happened during past civil strife. 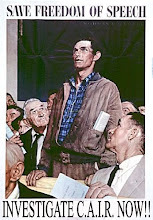 Under the present Administration in Washington, it is difficult to tell how the Federal government would act were such disturbances to take place. If it were to follow the European model (France, Sweden, the Netherlands, the UK)--that is weak, absent, or prejudiced in favor of the alien element as concerns law enforcement--the polarization between multiculturalists and unbending traditionalists will result in civil disturbances progressing from demonstrations to more self-protective measures. Here are bits and pieces from conversation between Jack Wheeler and a French intel guy from Jack Wheeler's 100 DAYS OF BEING A LAUGHINGSTOCK IN PARIS at his "Dr. Jack Wheeler's To the Point." The sentiments quoted are those of the French Intel guy. "My agency considers him a joke," he confides. "Every day there is some fresh lunacy that we cannot believe. Mr. Bush would often make us angry. 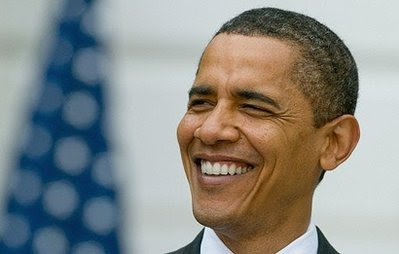 But at this man we just laugh."
. . . it is such a sad and strange thing to see America - America The Great! - do something so crazy as to elect this ridiculous man." Many of his actions, however, are very puzzling because they are so counter-productive regarding America's best interests. There seems to be a consistent pattern in that direction." No one may be laughing 100 days or 10 months from now." No one he has working for him knows what they are doing - possibly excepting Mrs. Clinton - and he certainly does not. The man is a mystery. Nobody can make public his actual birth certificate, or even the particular hospital he was born in, or his college grades, or how he got into Harvard, or how he made editor of the Harvard Law Review and never wrote a single article for it. It goes on and on. He really is a Zero. 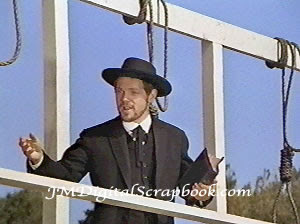 In the Old West, When the Government Failed to Protect the Good Citizens . . .
. . . there was always a Preacher-man to read from the Good Book . . .
And before I forgit, and it'ain't connected to all off that stuff above a'tall, so doan you start drawin' no conklushons, there's an . . .
". . . eerily eel-like quality of the other side, with all that slipping and slithering . . . as far away from the real and serious matter at hand, as is possible."